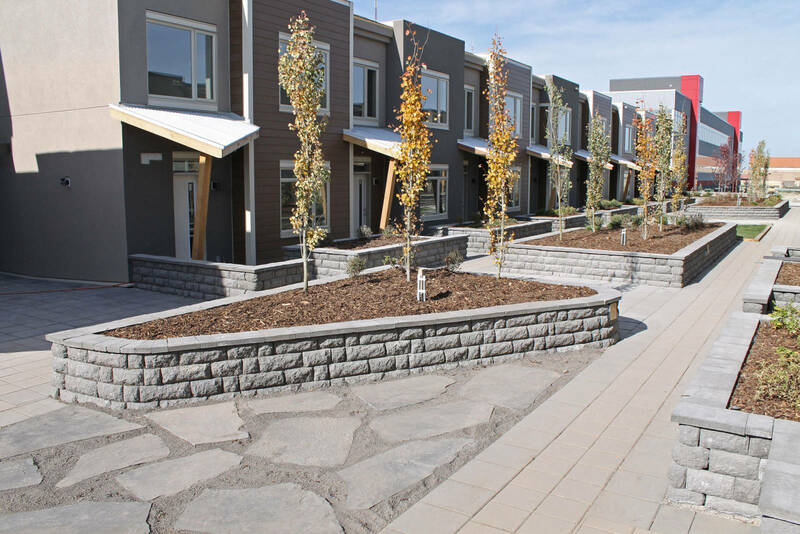 imilar to our StoneLedge™ products, the StoneMatrix™ is designed through our wet cast process instead of our dry cast one. 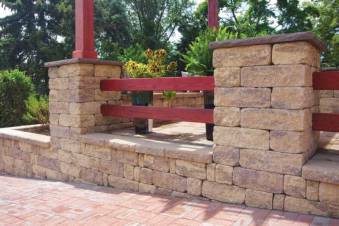 This is the perfect solution for any freestanding wall or pillar you require, offering everything from a quarried stone appearance with natural curved edges, to extreme durability and strength. 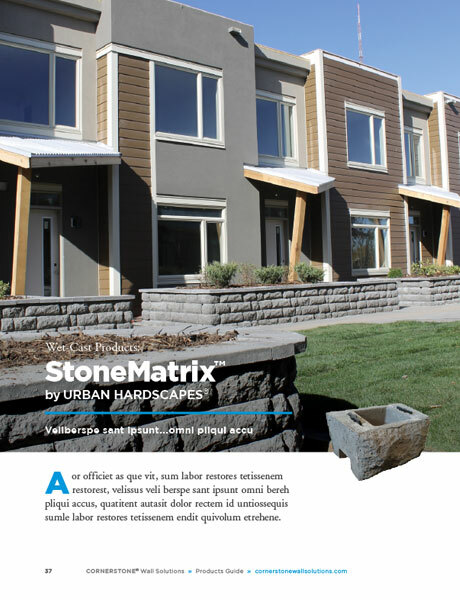 As an all-in-one system, the StoneMatrix™ offers flexibility and ease of use, making designing and construction a breeze for professionals and DIY retaining wall projects alike. 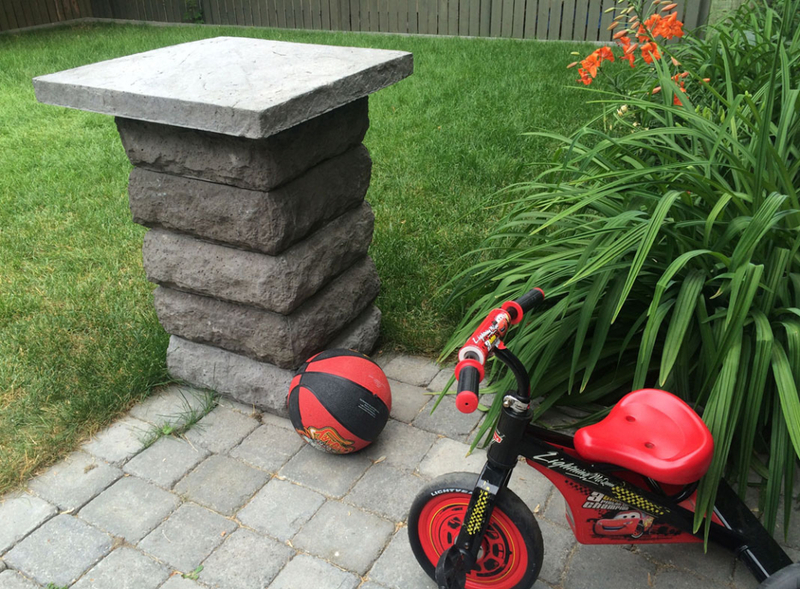 Create gorgeous planters, curves, steps, custom projects, such as barbecue stands, and of course pillars and fences that are truly unique to you. Let your creative side take over without limitation! 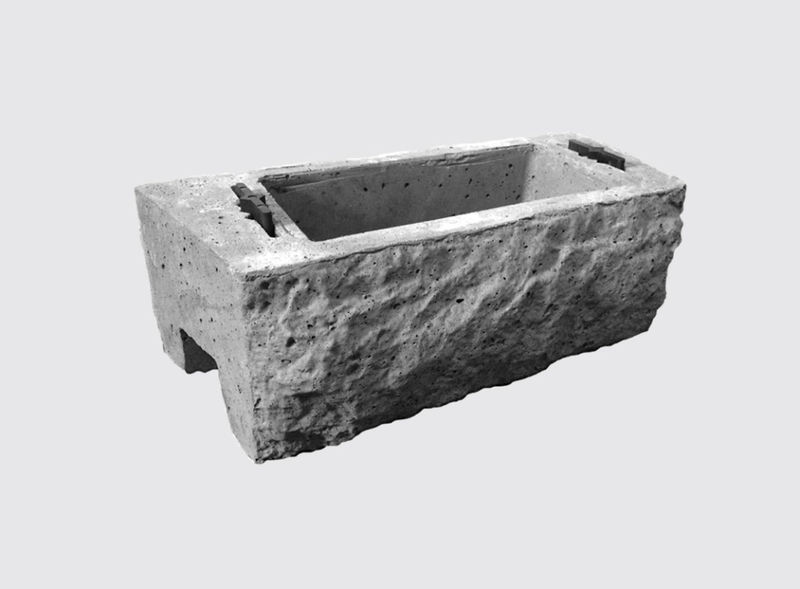 Offering three different sizes in this all-in-one system, the StoneMatrix™ units still feature our unique hollow core design, offering lighter products, without losing any strength or durability. With weight ranging from 16.5 – 77 lbs, you have limitless options, with minimal manpower required for installation. 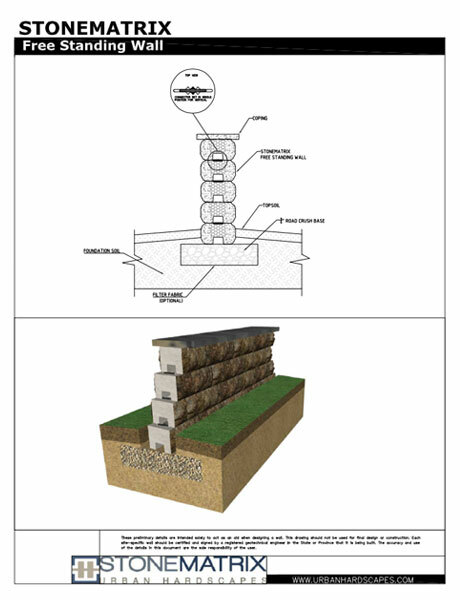 Using our unique Flag Connectors, each new stone you use in your design will be tied together, ensuring there is no shifting, either during construction or from any backfill force upon project completion. 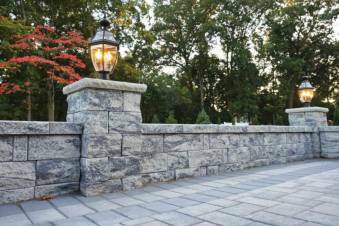 This also allows for walls to be built with greater stability, while still adding a more personalized appearance. 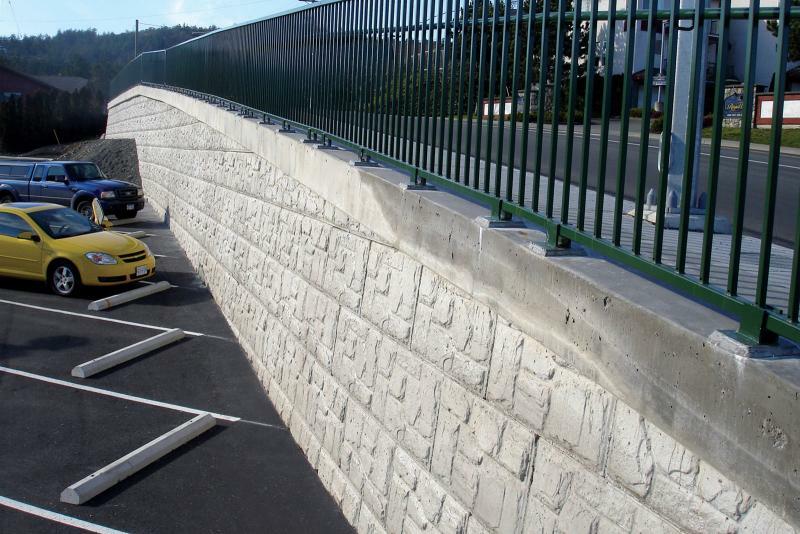 The Flag Connectors allow for stacking of the product in different patterns, all with exceptional ease! 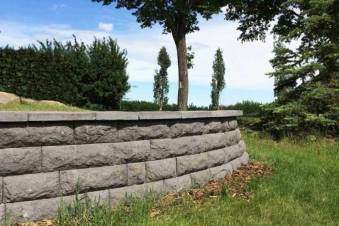 On the face of the StoneMatrix™, you will see a quarried stone appearance with natural curved edges, creating a wall or other freestanding structure with a beautiful textured look.